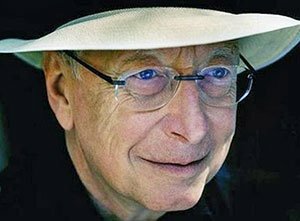 Harpsichordist-conductor William Christie and his Les Arts Florissants promise virtuosic theatricality in an evening exploring the air de cour (court air), a genre of secular vocal music that delighted the elegant salons of 17th-century France. In “Serious Airs and Drinking Songs,” 10 singers and instrumentalists bring passionate performances of wistful laments and courtly songs of pleasure by Charpentier, Lambert, and others to Sanders Theater on April 24th. Details of this Boston Early Music Festival presentation are at the end. FLE: It’s been 14 years since you’ve been in Boston, apparently—any reason you know of? WC: Obviously, one thinks of managers who haven’t perhaps sold the programs that they needed to sell; perhaps the people in Boston aren’t interested in me. I don’t know. There are many things and many reasons, I suppose. There’s a lot of music going on in Boston. We certainly do have an active early-music scene here. Here’s what BEMF director Kathy Fay told us. KF: BEMF has presented William Christie and Les Arts Florissant many times on the BEMF stage since their formation. It has been far too long since their last BEMF engagement, but this is the result of the stars simply not lining up until now. Given that this concert will mark the conclusion of our extraordinary 26th annual BEMF season, this LAF program struck me as a perfectly fitting season-ender; further, I will always jump at the opportunity to present this stellar ensemble! Tell about what you’re bringing to Boston, “Serious Airs and Drinking Songs”. It looks to have about 10 performers. It features the Air du cour, something we’re not familiar with. WC: There are five singers and young colleagues of mine who have come through essentially teaching programs and what have you that I’ve been involved in with the Arts Florissants. It’s a small-scale production, five singers, a lute player, there’s me playing the harpsichord, two violins and a viol player. There are 10 altogether including instrumentalists and singers, and it’s essentially French music of the end of the 17th and early part of the 18th century. What does the Air de cour mean? It’s not Air de cour. It’s Airs sérieux and Airs à boire—essentially polyphonic songs, or solo songs or duos or small-scale vocal and instrumental pieces, that were very popular, as I say, at the end of the 17th century. I’ve always had essentially a number of different kinds of repertory within Arts Florissants. For example, in the last three weeks, I’ve conducted a Mozart opera, I’ve conducted the Bach B-minor Mass, kind of, all over Europe, and now I’m taking five solo singers and a very small orchestra off to the United States after I’ve done a French opera ballet at the BAM in NY. It’s a small repertory which I think we can do very well, certainly as well as anybody and probably better; it’s difficult stuff. Difficult because it’s very simple but it’s also extremely, extremely difficult technically and what have you. But it’s music that essentially was, I’d call it, semi-popular music of the period. Which is to say that the repertory that the Boston audience is going to hear was repertory that essentially was sung in cabarets and the equivalents of nightclubs and also sort of fashionable sort of residences of the bourgeoisie and the aristocracy. There’s only one theme, it’s all about love. Everything. Supposedly it’s about drinking too? Well, there’s a bit of Frank Sinatra, there’s a bit of some of the grand singers maybe of the first half of the 20th century in the States and England. It’s witty but it’s very, very … it’s emotional stuff. Essentially, as I say, it has only one subject matter and that’s the delights of the, uh, the problems of love between human beings, either that or alcohol. So do you think it will have a lot of savor beyond just the antiquarian interest? Will it have a lot of savor for contemporary audiences? I don’t believe in antiquarian interest; that to me is archaeology that has to do with, you know, things that are dry as dust. If one can’t savor what one listens to, then I think music doesn’t serve any function, really. This is pure pleasure. I’ve never ever, ever, ever tried to be antiquarian. This music is new music essentially for a Boston audience; it has absolutely nothing to do with antiquarianism or whatever. Will there be some sort of stage interactions? Will it be mostly a straightforward concert? None of my concerts are straightforward ever, and I say that very proudly obviously. I don’t think I’ve ever given a concert where people line up with their musical texts in front of them—it’s a horror, and simply moot. This music was obviously sung not off the page. The Boston audience will get exactly what they’ve always gotten from me, that’s to say an evening’s entertainment of pretty high quality involving music and musicians that’s been highly worked such that it appears easy and such that communicates itself easily. So will it be memorized? Will there be some stylistic movement? Always. I don’t give a concert unless I’m doing the Bach B-minor Mass. This music could not be sung with scores. I do want to interrupt this with a slight devil’s advocate question. What do you think about the 1939 Mengelberg recording of the Matthew Passion? I have a very, very strong idea that it’s the individuals making music that I admire; their commitment to the score, their commitment to a public and their desire essentially to communicate. Mengelberg was a great conductor. I’ve conducted the Concertgebouw; in fact I’m doing the St. John Passion next year with the Concertgebouw Orchestra. I revere him because he not only was an extraordinarily sort of learned and intellectual human being but also had an immense sense of communication. I feel the same way about him as I do about someone like Andrés Segovia or Wanda Landowska or Alfred Deller. I wouldn’t do it the way they do it and often times they’re very much victims of their own generations. But if you can get through the things you don’t like, which can be instrumental fashions of playing or tempi or what have you, and you understand what the essence of what he’s trying to get across, which is emotion, yes, you can love this …. It does deliver an emotional wallop. Yes, very important to me. I’m sorry that you weren’t able to bring to us the ballet opera Les Fêtes Vénitiennes that you brought to BAM. Is that going to appear anywhere else in America? Well, we’ve done it now everywhere. We’ve done it all over Europe. It was last done in Toulouse a month and a half, two months ago. It’ll be done alas only three times at BAM; it was going to be 4. These productions obviously cost a lot of money and I’m happy to be able to do them in the New York area. It’s been a very, very long time since we’ve been able to take things elsewhere, to Chicago or what have you. Things are looking up a bit on the West Coast: I think we’re going to be taking some fairly big productions off to Los Angeles. But for the moment, New York seems to be the only place on the East Coast that can that can actually bring orchestral and choral productions that involve 50-60 people. FLE: You’re an American long living in France as a French citizen. Was there some moment in your very earliest years when the French Baroque suddenly grabbed you? Did it happen in a flash? WC: It was French, but it was also the period. I grew up in a family that listened to music but it was pretty much up until the time when my mother arrived on the scene. Really, the Joneses and the Christies were pretty much into standard repertory—that’s to say they listened to symphony concerts at the Buffalo Kleinhans Music Hall and they went down to New York every once in a while to hear an opera or two. But when my mother appeared on the scene shortly before I was born, she had other ideas. She was to have gone to Oberlin as a music major and that didn’t quite work out and she ended up essentially having a family but also working conducting a volunteer church choir. In a little Protestant church, St. Paul’s in Williamsville NY. I got to know a lot of music very early, Schütz and Bach and Handel and Purcell and what have you, because all of that was essentially the repertoire that my mother was directing. So it didn’t really happen in a flash? Well, it did. There were flashes, obviously, and there were moments when time sort of stood still and I realized I was in front of something or been listening to something which was very important and was probably going to change my life. That happened a number of times very early on. I remember hearing my first harpsichord when I went off to a symphony concert and they were doing Messiah I suppose I was about 10 years old or so, maybe even a bit younger. And that was a very important moment in my life. And listening to the recordings was also very important. It was a marvelous way of listening to music that I couldn’t hear live. And I do remember very vividly a number of recordings that I said were wonderful that I had never heard in my life. One of them (the Tenebrae Lessons of Couperin from 1952 or ’53, on Erato) happened to be some Couperin recorded by a French harpsichordist/organist and sung by two French ladies I subsequently got to know when I moved to France. In fact, the lady who was the director of the ensemble, on this Couperin recording, was one of my colleagues at the conservatory. That doesn’t ring a bell, I’m sorry. Oh that’s okay. And by the way I have Buffalo in my background too. We went to Saarinen’s Kleinhans Music Hall and I would have gone to Amherst High School, as you probably would have. Kleinhans is one of the great, great concert halls of the US, really. And of course it had that great Beethoven quartet cycle for years, too. That was the University of Buffalo, the Slee Foundation. That’s still going strong. How did you get from Buffalo to Paris? It’s very simple. I had gotten to the end of a cycle, a very long cycle, that involved Harvard and then Yale and teaching at Dartmouth up in New Hampshire and there was an element of just sort of wanting to do something new and I wanted very badly to start a career as a performer, you see? And all of that was rushed and hurried along by the fact that we were at war in Vietnam, and when my contract wasn’t renewed at Dartmouth College, I was about to get drafted, and having done a number of rather stupid things to stay out of the army like joining ROTC when I was a graduate student at Yale, these were all rather potent reasons for wanting to leave the States, you see. And I was fortunate enough back in ’69 and ’70 to meet a number of European musical personalities. I played for some of them, I auditioned for some of them and the idea was that, yes, we need someone like you; we can give you a contract at the BBC for some recordings. The French National Radio was doing a large series on essentially some unknown and unloved French music and they hired me to do a first recording, and I met up with some marvelous musicians at the University of Buffalo which had an enormous amount of money back in those days, and they had a program doing essentially the best modern music, the best contemporary music probably in the States at that point, and they were all coming to Europe, at least two of them for the same reasons as me, the immediate reason being the war. I moved to England. Summer of 1970. And how soon was it that you started your own organization? I started it in 1979. Perhaps you can answer the question about the French system of art support. I’m hearing complaints that America doesn’t support the arts as well as the French and Germans do. Is that one of the reasons why you remain so active there? No, I live in France because I’ve always loved France, my family has always loved France. My dad and mom were hardened Francophiles. Would I live in France if I didn’t have an ensemble? I suppose I would. It’s easy to complain. I don’t like to complain, especially in public. The French have been extremely good to me professionally speaking, and obviously if you pick up their cultural baggage, they’re very happy, you know, they’re very obliging, because there’s an awful lot of culture in France, and I’ve bought into it. Have they been generous to me and my ensemble? Yes, they have, obviously. The idea in France of course is that for several hundred years important issues like culture, which after all is very much a makeup of the French international identity, is best done by the state, you see? This is obviously—and it’s certainly a point you can really hammer in, you know—this is something Americans don’t like. Do you feel you’re part of the state now? Of course not, but certainly I’m part of French culture. Part of the state, no; I have no political ambitions or no aspirations. I’ve never had any political history. I’m someone who’s an artist who obviously benefits from state aid. 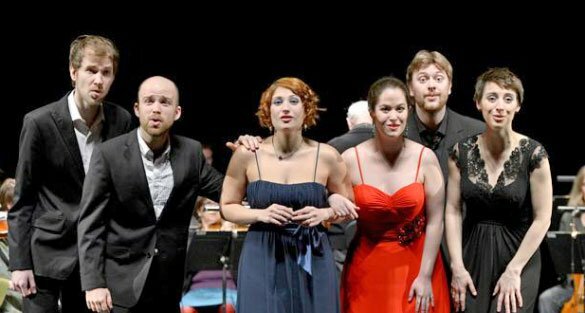 Tell a little bit more about the singers who are going to be in Boston who are from your Jardin des Voix. Le Jardin des Voix is an every-two-year vocal competition where the singers, whom we choose, normally about 6 to 8 out of about 250 to 280, get together and we put them into a program, a memorized program which we’ve sold pretty much around the world. The nice thing is I oftentimes can keep these people. It’s been, I think probably without exaggerating, one of the most successful programs now in music, when you stop to think that every one of these singers coming to Boston has, I believe, already sung in a Boston production. At least maybe three out of the five or four. They’re certainly not unknown to the Boston early-music people; they’re very attentive about who gets involved in my Jardin des Voix. I think it was this last year I had one of my ‘jardin’ open up the Met Opera season; we had three in Glyndebourne; we had one in Covent Garden. It’s extremely successful. Is there a particular vocal type that you’re looking for? No, I’m looking for personalities. People who have something to say and people who have something to communicate and to give, and that odyssey is far more complex thing than just a beautiful voice. Do they learn much about matters of style from the time they spend with you? The whole idea is to put them through a program whereby they sing by themselves and they sing with one another, but we’re dealing with repertory that needs a bit of work to unlock its eloquence and unlock its beauty, so …. Is there any homework you could suggest for the readers and listeners who are going, since your interviewer obviously did little? Anybody who comes to these concerts knows damn well all they have to do is to go through Wikipedia and find out at least a little about the biographies of the composers. There are many recordings. People who follow the Arts Florissants pretty much know that most of the stuff or a lot of the stuff has been recorded. I’ve never heard of Moulinié or Lambert. I have lots of birds. Camus: Ah, que vous êtes heureux ! Cyril Auvity is incorrectly listed as a baritone; he is a haute-contre, and one of the best voices to ever emerge under Christie’s tutelage!